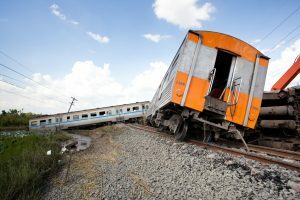 Train and subway accidents are more common than most of us realize, and the impact of such accidents can lead to devastating injuries and even wrongful death. According to the Southeastern Pennsylvania Transportation Authority (SEPTA), about one million commuters ride either subway, surface, or regional trains every day in Southeastern PA. While many of us imagine a victim falling or jumping in front of a moving train, injuries from trains and subways come in a variety of more mundane forms as well. At The Law Office of Kamensky, Cohen & Riechelson, our personal injury attorneys have over four decades experience helping clients reach successful verdicts or settlements from personal injury claims stemming from train or subway accidents. We take pride in serving our local Pennsylvania communities, including towns like Northeast Philadelphia, Levittown, Bensalem, Millbrook, Penndel, Feasterville and the greater Bucks County region. Lean on our extensive experience to help with your train or subway accident personal injury claim. Call our office for a free and confidential consultation today. A member of our personal injury legal team will be standing by to discuss your individual needs an concerns when it comes to your injuries sustained from a train or subway accident. Determining liability in train or subway accidents can actually be quite complicated. This is primarily due to the amount of parties involved with the manufacture, upkeep, operation, and ownership of the SEPTA rail system. Generally speaking, SEPTA is responsible for maintenance of the railways and keeping safe conditions, but there are many complicating factors on top of that. Generally, the Southeastern Pennsylvania Transportation Authority (SEPTA), the organization that governs train and subway transit in our local Pennsylvania region, will be held liable. They may be found to be at fault for accidents caused by poorly maintained railways, premises liability including slip and falls and negligent security, and possibly the negligent behavior of their employees. If the operator or conductor behaves in a negligent or reckless manner which leads to an injury, the company which employs them will be liable for the accidents. This is still true if the individual was properly trained to act appropriately and chose to ignore his or her training. Train manufacturers, subways car manufacturers, and makers all of their associated parts may be at fault for an injury resulting from a malfunctioning or defective part. Showing that your accident was caused by the negligence or recklessness of SEPTA, another train company, a manufacturer, or another separate party. This is the key to most personal injury claims. Our attorneys will examine the details of your case and determine what precisely can be considered “negligent” and/or “reckless”. Proving that your injuries were a direct result of that accident. It is a great idea to see a medical professional as soon as possible after sustaining your injuries. He or she will be able to provide you with necessary medical care with the added benefit of giving a formal diagnosis of your injuries. This diagnosis will be used to tie your injuries back to the train or subway accident in question. Providing reasonable claims regarding compensation. Compensation for train and subway injuries can be used to cover expenses including medical bills, lost wages, physical therapy, every day expenses, physical pain and suffering, and emotional distress. At The Law Office of Kamensky, Cohen & Riechelson, our personal injury lawyers have been helping clients recover compensation for their injuries since 1972. We serve our local Pennsylvania communities including Northeast Philadelphia, Levittown, Bensalem, Millbrook, Feasterville, Penndel, and all of Bucks County. If you or a loved one has been injured in a train or subway accident, lean on our decades of experience to successfully resolve your personal injury claim as we have for countless others. Contact us online or through our Bensalem offices by calling (215) 337-4915 today to speak with a member of our personal injury legal team regarding your train or subway accident injury in a free and confidential consultation.